Lately, I have been reading a couple of other Grandma blogs a lot and they have left me feeling just a bit cheated. These Grandmas have lots of Grandchildren. I am an only Grandma. I only have 1 grandchild. 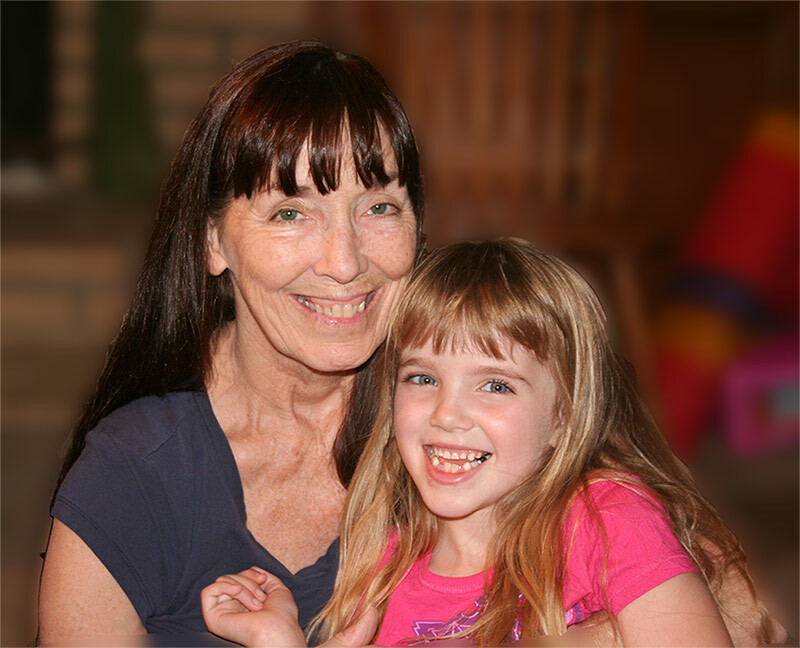 Granted that only grandchild is the most amazing child ever, just like her Mother was, but there is still only one of her. The other day when that same daughter took me out to lunch — did I mention I have a wonderful daughter — I told her she had to have more kids. I needed more grandkids. She founded this very funny. There was some mention that if I wanted more kids I could have them myself. She then explained to me that I was to blame for my own problem. She said the big difference was these other Grandmas had not been Moms to an only child. They had lots of kids to give them lots of grandkids. SO it’s my own fault. My life as a Grandma is much different than theirs in another way. Most of these Grandmas aren’t as lucky as I am. Their Grandchildren don’t live just one mile away. The TravelinOma writes about planning a family reunion for 20 grandkids who will be coming in and out of town all month. Grandma Shelly amazes me with the things she does with her grandchildren. You have to read about Grandma Camp! So I’ve started to wonder if I am taking my time with Amara for granted. We are so lucky that the kids only live a mile away. My sister has 3 wonderful grandchildren. They live in Virginia. She lives in Michigan. If she is lucky she sees them every 3 months. I see Amara 3 times a week! 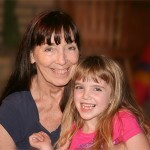 I have another wonderful friend who only has one grandchild and she is hundreds of miles away. I am so lucky. So maybe I’ve let the excitement of going to Grandma and Grandpa’s house fade. I’m going to try and do better. These other Grandmas inspire me. This memory was posted in Grandparents, Relatives and tagged Amara, babysiting, Grandma, Grandpa, Mommy on July 17, 2010 by Grandma Kc. I Got Grilled! But Grandma! How’s My Favorite Grandchild? I’m very glad you have Amara so nearby .. but I’m insanely jealous at the same time!!!! I can deal with it though because I know you cherish every moment and I don’t think you take it for granted at all. You’re the best grama and best big sister ever!!! Thank you honey. She really is at such a great age that she makes the boring things in life, like the grocery store, so much more fun. Doesn’t hurt that she just LOVES spending time with her Grandma! This is such a great job. You are hugely lucky! I spend lots of time planning and you spend lots of time doing. Amara’s memories will be precious. Thank you! I am lucky for all of the time but I do want to follow your example and starting planning more little things that will really stand out in her memory. Not just our wonderful fun filled movie nights and our numerous water fights! What is one little stroke in a painting? Planned in or brushed spontaneously? Structural or just a bit of fun color? In our self-portraits of us and our kids, the finished painting will have a feel we can almost touch — temperature, movement, direction,detailed focal areas, lost and found edges, color and value, lights and shadows. And we grandmas hold the brushes… keep painting with joy and harmony and balance and splashes of drama, Kc. You are a splendid grandma! Lots of happy art coming from your heart and therefore your brush. Enjoy your Amara. You are painting a most beautiful relationship that will last forever……. There are definitely advantages to “only” grandmas. My older grandson was just musing about this the other day, wondering what side the baby was going to get when he got old enough to want to sit by grandma — since he and the granddaughter already have claims! We who have the grandchildren close by are lucky and blessed. I already worry about my oldest son who is now living in another state. When he has children I will hardly see them at all / I’ll go beserk! I’m in a similar situation in that I see my two grandkids almost every day. And, I had an only daughter so there will be no more for me either. But, when my daughter was young and I lamented that all my friends had more children, I focused on thinking that I may not have quantity but I had quality and that still goes – my daughter is great and her two children are wonderful. Life is good regardless of numbers. Enjoy. While have several grandchildren I do miss the days when the oldest two and I could be together alone. My attention wasn’t so divided. I was so close to them and now it’s hard becuase it can be overwhelming with them all together! I feel like a storm blew in and then it blows out. I don’t get that close one on one time and I miss that. I try to give time to each one individually but there is only so much time available. Be happy with her, you all have made an amazing family together! Thanks for linking with me. Your lucky because you see your lovely granddaughter very often. I have more but only see them every few months. The grass is always greener …..
Every grandma who has left a comment above has taken their own circumstances and made the best of them! In the end, each child knows he/she is loved deeply by that special lady, whether she is grandma to one or to many, and whether she is a mile away or many states away. God bless us ALL!